A great set from Judge with a traditional 'bellied' pot. Including all the essentails pieces for comforting home cooking. 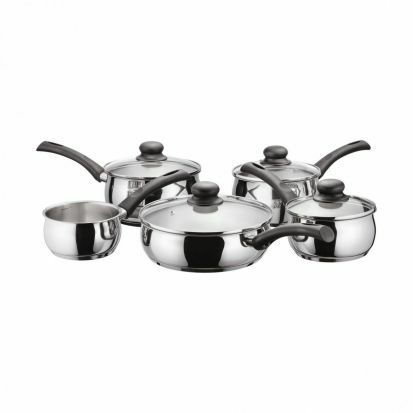 18/10 stainless steel 14cm milk pan, 16, 18 & 20cm saucepans, and 24cm sautepan. Thick hot forged bases suitable for all hobs including induction.